Recent order of NCLT at Hyderabad in the matter of K Sashidhar, MD of Kamineni Steel & Power India Private Limited vs Kamieneni Steel & Power India Ltd passed on November 27, 2017 has thrown open lots of questions which all the stake holders would need to address in time. Kamineni Steel & Power India Private Limited is a Private incorporated on 20 October 2008. In connection with its project to set up a manufacturing facility for production of steel billets at Sreepuram, Nalggonda Dist of Telangan, it approached consortium of about 8 Banks led by Indian Bank, for term loan of Rs. 1248 Crores finance the project cost of Rs. 1539. The balance finance was to be arranged by the promoters by way of equity of Rs. 291 crores. Thus, more than 81% of funding was provided by the Banks in a project where promoter stake was only around 18%. It appears there was delay in implementation of the project and also defaults, therefore, the case went through various process of JLM, CAP, Flexi Restructuring etc. The Company also filed application with BIFR in November 2016 which got abeted due to notification dated November 25, 2016 and thereafter the matter reached NCLT Hyderabad which admitted the application of the Company on February 10, 2017 and eventually CIRP was started with first meeting of CoC on March 08, 2017. Total nine meetings so CoC were held where the Company submitted resolution plan by way of One Time Settlement (OTS) of the dues of the Banks. In the 8th meeting of CoC, the company eventually revised its offer to Rs. 600 crores with staggered payment i.e. 5% within 45 day from the date of NCLT order, 10% by 31st March, 2018 and so on, the last payment being extended to October 2019. OTS amount was to be paid by the Company with simple interest on reducing balance. This OTS offer was accepted by five Banks (with voting share of 66.67%) but three Banks with voting share of 33.33% rejected and thus dissented to the proposal before CoC. The arguments of dissenting Banks mainly hovered around enterprise value of the company. It was contended that the plant of the Company was relatively new and as compared to that OTS amount of Rs. 600 crore was considered by them to be significantly lower than expected liquidation value. Dissenting Banks were also aggrieved on account of the networth of corporate guarantor (which was holding company) as well personal guarantors, who were mainly promoters (who were alleged to be resourceful persons controlling Kamineni Group) and value of IPR of the company not being taken into account. Another reason for rejection of plan by a particular Bank was that as per Bank policy repayment period under OTS cannot be extended beyond 12 months. It was also contended that the proposal required huge sacrifice of about Rs. 1000 crores on the part of lenders and other creditors. Dissenting Bank also contended for payment as per Regulation 38(c) of the Insolvency and Bankruptcy Board of India (Insolvency Resolution Process for Corporate Persons) Regulations, 2016. With this background, the IRP recommended for approval of the resolution plan as approved by majority of the creditor (i.e. about 66% of the voting right as against 75% required under the Code). NCLT in its elaborate order (mentioned as judgment) running into 100 pages, devolved on various issues and taking a practical approach considering place where unit is located, by exercising power conferred under section 31(1) of IBC, 2016 approved the resolution/OTS plan as submitted by IRP. While passing the said order, NCLT also suggested for issuance of appropriate guidelines for member of CoC to attend meetings with full mandate from their competent authorities so as to take a final call during meetings. NCLT also said that functioning of three dissenting Banks in resolving the bank loan/NPAs deserve to be carefully scrutinized by RBI. The order of NCLT has thrown open issues which needs to be looked into and by all stakeholders be it the Banks/IBBI/NCLTs and RBI. It is a matter of fact that Banks, barring a few private Banks, were somewhat slow to react to the challenges thrown open by the tough and challenging timeline set forth under IBC. So far Banks have been following their own pace in deciding restructuring/OTS proposal as they have their own policy and laid down procedure /committee process to follow which may also have outsiders experts as members. But with IBC in place Bank were expected to set up an internal mechanism to deal with the time line set forth under IBC and revisit their procedure and decision making mechanism. As the things were not moving at desired pace, the Government had to intervene and came out with Ordinance in the month of May 2017, in the form of Banking Regulation (Amendment) Ordinance, 2017 which inserting two new Sections (viz. 35AA and 35AB) after Section 35A of the Banking Regulation Act, 1949 which enabled the Union Government to authorize RBI to direct banking companies to resolve specific stressed assets by initiating insolvency resolution process, where required. The fact of Bankers being slow in moving under IBC is further supported by study done by IGDR on cases filed during initial phase. As per the study, out of 110 cases studied, a little more than half the petitions were filed by operational creditors. As against this the cases filed by financial creditor were little less than twenty 20 percent of the insolvency petitions in the dataset. The Order of NCLT is again a wake up call for banking industry to really understand the issues and process and gear up its internal mechanism both credit delivery and recovery so as to meet the strict time line under IBC. The order has also opened up debate about powers and role of the Tribunals set up under a statute. If one go through the "judgment" (though under IBC the NCLT is to pass orders), of NCLT, it somewhat dilutes the statutory requirement of approval of resolution plan by 75% of financial creditor (section 31(4) of IBC) by substituting it with discretion of NCLT and majority vote. NCLT has also traversed on issues of NPA and hair cut taken by Banks in recovering their dues as also socio/economic issues and observed that it is bounden duty of Adjudicating Authority to analyize the issue in question in wider/macro prospective and transparent way rather than a mechanical way depending on percentage or the word 'may' as used under section 30(4) of IBC as to balance the interest of all the state holders such as employee, creditors, public interest, economy, rural development etc. To support this NCLT also attempted to impress that it exercises judicial function to decide on "dispute", after hearing the parties. NCLT also observed that "It is also quite common, in the Banking industry to absorb certain losses if the company/ the industry is not doing well." ......"Therefore, sacrificing some amount of loss for revival /the resolution plan, is part of the lenders considering the employment opportunity, socio economic objectives etc." NCLT also made an interesting observation while countering dissenting Banks objection with regard to guarantors. NCLT observed that "Adjudicating Authority is of the view that the personal guarantee, the guarantee given by the other corporate can be dealt with by the lenders as per their loan agreements in addition to the current OTS Scheme." Now, it is established principle of law governing guarantee that if a lender enters into a settlement with the principal borrower it will not have recourse against its guarantor for any larger amount or residual amount (that too provided consent of guarantor was taken for the settlement). Additionally, after approval of Adjudicating Authority a resolution plan is binding on all the stake holders including guarantors, therefore, it is to be seen as to how a Bank would be in a position to enforce guarantee of promoters once it accepts OTS/or a resolution plan is approved by Adjudicating Authority. Further, at para no . 3.4.2 idbi the Report indicated that "The Committee chose the following principles to design the new insolvency and bankruptcy resolution framework: I. The Code will facilitate the assessment of viability of the enterprise at a very early stage. 1. The law must explicitly state that the viability of the enterprise is a matter of business, and that matters of business can only be negotiated between creditors and debtor. 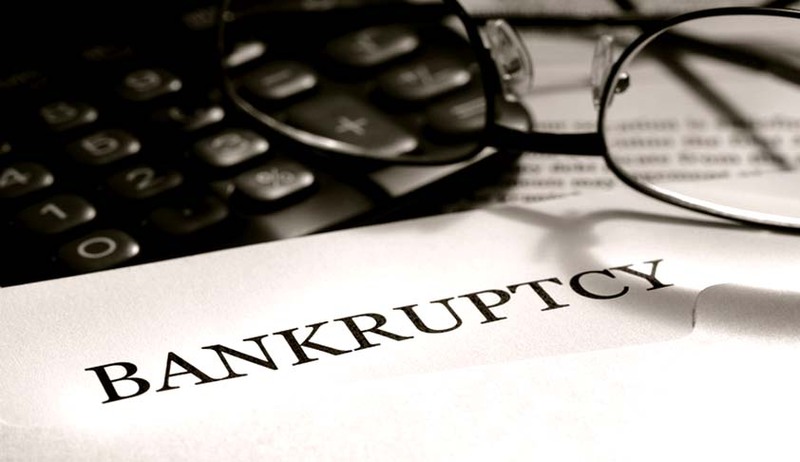 While viability is assessed as a negotiation between creditors and debtor, the final decision has to be an agreement among creditors who are the financiers willing to bear the loss in the insolvency. 2. The legislature and the courts must control the process of resolution, but not be burdened to make business decisions. ..........". Thus, the basic premise on which IBC is built is that on failure of business it is not that (i) only lenders have to share the loss and that (ii) resolution plans should be negotiated and approved in the Committee of Creditors only. In the above Report, it was clearly spelt out that "The Committee believes that there is only one correct forum for evaluating such possibilities, and making a decision: a creditors committee, where all financial creditors have votes in proportion to the magnitude of debt that they hold. In the past, laws in India have brought arms of the government (legislature, executive or judiciary) into this question. This has been strictly avoided by the Committee. The appropriate disposition of a defaulting firm is a business decision, and only the creditors should make it." That being the plan and approach for IBC, the Legislature in its wisdom has also laid a particular Scheme under IBC and also procedure to be followed for implementation of the Scheme and also assigned roles and responsibilities among three institutions involved i.e. IRP/RP, Creditors Committee and Adjudicating Authority. It has to be noted that the role assigned NCLT/DRT under IBC is not exactly the same as enjoyed by Tribunals under other Statutes. IBC has created different authorities and also assigned their respective roles. It is submitted that under IBC Adjudicating Authorities have been given a limited judicial role, and it is really to be seen whether NCLT has inherent power of a "Court" to expand its role and powers beyond what is envisaged under IBC. One of the reasons as to why resolution proposals under Corporate Debt Restructuring (CDR) mechanism failed was reluctance of promoters to share losses and their failure to bring in their part of funds. It is unique feature under Indian system that on failure of business entities it is usually lenders who bear the maximum brunt and promoters, who enjoy fruit of the enterprise, share very little proportion of this. In the present case, in addition to lending 81% of funding to the project, the bankers/other lenders are to bear about Rs. 1000 crore (as per the argument of dissenting bankers at page 30 of the order of NCLT) of sacrifice. It is, therefore, submitted that a conscious, judicious and pragmatic approach needs to be adopted in the light of scheme of the Code. For a smooth and successful implementation of the Scheme as envisaged under IBC, it is essential that all stake holders recognize their role in right earnest so as to not to dilute the mechanism set for under IBC. There is also need that authorities recognize the role played by the Banking Sector in Indian economy and also to accept the fact that promoters being in control of the business entity and enjoy its fruits, should equally be held accountable for its failure and share the losses so that they too remain accountable to the lenders as well as to the society for their ventures and decisions. IBC is at initial phase of its journey, therefore, there is urgent need to address any dilution of process. Already backlog of cases is increasing and some of the NCLTs are taking more that 5 months time for admission of applications. If failure of resolution process is considered as "dispute" then it would open up whole lot of related issues and carry a risk of proceedings under IBC being converted into civil proceedings. IBBI/ NCLT and Courts have been very proactive in addressing the issues and banking sector would also take note of the developments and adopt suitable mechanism to meet the challenges and deadlines under IBC.